What? Evaluation is not popular? We know that evaluation can be very valuable. We continue to emphasise its role in “decision-making”, “improving interventions”, “accountability”, “knowledge generation”, “planning”, “budgeting”, “advocacy” – and for “learning” about all of these. Yet we can all list good reasons why monitoring and especially evaluation are not appreciated, often disliked and, occasionally, even treated with ignorance and disdain. Understandably, no-one wants a spotlight on them that illuminates things that are unattractive or unsuccessful, even if that is not the intent of the evaluative effort. This is a major challenge, deeply embedded within the essence of our practice. Many other reasons for the resistance to evaluation are linked to how it is actually done. This is particularly acute in aid-dependent countries with fragile governance systems, weak capacities and vulnerable communities. Given the staggering arrogance, insensitivity, ignorance and incompetence with which evaluations are sometimes commissioned and executed, it is no wonder that people hide from, manipulate or lash out against such efforts. Yes, but now we can all “learn” together! Putting “learning” at the centre of the evaluation narrative is a fairly recent emphasis. Now MEL and MLE are everywhere – certainly a major improvement over the “beat them over the head with evaluation” attitude so rife in the past. Yet I don’t believe a narrative built around learning is sufficiently appealing. As technocrats we believe it is great to have learning as a lifelong objective, but do people really want to be told that they don’t know enough – especially when it is (usually) some foreign or privileged outsider carrying this message? In our super-pressurised world, few have the time to be curious. People want to be noticed, and recognised. They want influence. They want to look good among peers, family and friends. They want to do their work well, but in a way that is still fairly comfortable. Where people are struggling to eke out a living, most want to survive the daily stress and grind of trying to find food or shelter or work or whatever challenge life throws at them. And yes, if “learning” can assist in that, they will welcome it – as long as it is truly useful for their real purpose. Should we change the narrative? Don’t get me wrong: I ask for circumspection about our narrative about the value of evaluation; I do not question the obvious value of encouraging a learning culture through evaluative practices. I am a great fan of “learning”. I am curious, love to know things, and want to improve what I do. I know the value M&E has had for me as a professional in science and grants management in my previous life. I often quote from Irene Guijt’s excellent 2008 PhD thesis PhD thesis and later work on using monitoring and evaluation in all forms to learn for multiple good purposes. I promote critical reflection, impact monitoring, MQ Patton’s learning-orientated utilisation-focused and developmental evaluation, and PDIA. I spoke about adaptive management to my clients and in reports long before it became fashionable to do so. And I know that many people – myself included – can share positive stories about changing the culture in a program by helping people to use their M&E system as an instrument of learning for their own purposes. I just think that “learning” rolls off the tongue too glibly these days. It is becoming passé, rhetoric. A buzzword. Perhaps even a fuzzword. We need a stronger narrative to capture in a more comprehensive manner the true value of evaluation for the world of today. 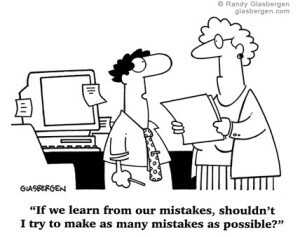 Or we need to understand better how to enable “learning” through M&E. We need to be clear and convincing about the value proposition of evaluation, especially if, as Marco Segone has so elegantly articulated, we want evaluators to be effective change agents and evaluation an effective “agent of change”. To be this, at the very least evaluation has to be done well, and meet real and urgent needs of relevant people and organisations. So what is the value proposition of evaluation in today’s world? There may not be one clear final answer to this question. We are all influenced by our own contexts and sets of values. My own sense of the value of evaluation will inevitably be shaped by the fact that I deal primarily with decision-makers at various levels in low-income countries (LICs) in the Global South, and that I do so in an era when the 2030 Sustainable Development Agenda and new funding flows will be significant forces in shaping how development is done in many of these countries. More importantly, perceptions of the value proposition of evaluation will probably evolve with evolving contexts from national to global level. The following is my list of the top ten aspects that help to define evaluation’s value proposition. They delineate the niche and comparative advantage of evaluation compared to related endeavours such as monitoring and research. First, good evaluation is always action oriented, rooted soundly in the “real” world – in other words, cognisant of past and current realities, as well as well-reasoned predictions of future realities. Second, good evaluation stimulates and inspires evaluative thinking, which is a thought process hardwired into all of us. Third, good evaluation is well-informed, recognising that research, monitoring and evaluation are the “triple helix” of evidence, complemented by sound reasoning and intuition that comes from experience. Fourth, since good evaluation deals with the real world and therefore cannot be reductionist, it has to focus on the interconnectedness of things. This provides opportunity for rich insights that can lead to solid judgment and truly useful knowledge. Fifth, good evaluation can empower everyone involved by providing food for thought and action to multiple, diverse stakeholders. Sixth, good evaluation is very well equipped to support organisational agility and adaptive management for continuous improvement as well as transformative change. Seventh, good evaluation can answer difficult and urgent priority questions posed by multiple diverse stakeholders in search of adjustments, improvements and solutions. Eighth, good evaluation can be commissioned and done from multiple vantage points – independent, external, internal or through critical self-assessment. It can also weave together and triangulate such perspectives where this is desirable. Ninth, good evaluation is charged with setting aside and/or making explicit values-based biases, while recognising differences in culture and context. It therefore contributes to humanity’s pool of knowledge in a manner that respects the diversity of the world in which we live. Tenth, wherever humanly possible, good evaluation has to find and speak the truth, and truth to power. It is therefore in its deepest essence an instrument for good in service of citizens and ecosystems across the world.